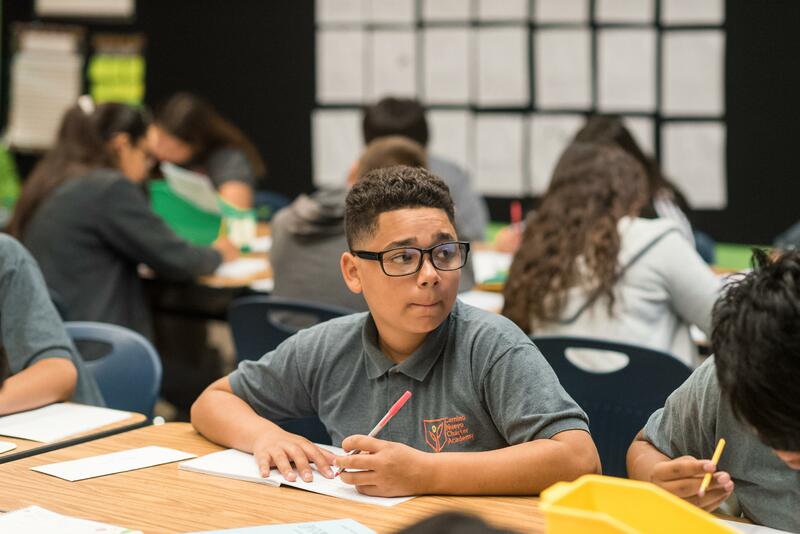 At the Jose A. Castellanos Campus, our K-5 scholars benefit from a rigorous academic program and an inclusive community where each student is valued and encouraged to succeed. Our campus offers exceptional programs including a dual language Spanish-English program designed to support scholars in becoming bilingual and bi-literate. Our staff is committed to building on the cultural capital and social experiences that each scholar brings to school. Our students participate in the arts, physical education, technology, and other rich experiences that prepare them for a successful transition to our middle school, the Camino Nuevo Jane B. Eisner campus. We invite you to return to our website regularly and follow us on social media to learn more about our community.